On-AMZN: I am speaking at the Hybris B2B Ecommerce Conference in Chicago on November 4th and 5th. I recently had a chance to talk to them about the challenge of leadership in creating digitial disruption. If ever there was a universal truth, it’s that change is hard. 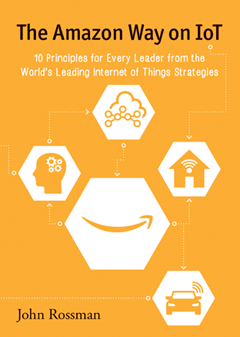 John Rossman knows all about change—his book, The Amazon Way: 14 Leadership Principles of the World’s Most Disruptive Company, taps into his career at the internet giant, an providing insider look into what might just be the most innovative business culture of our time. Rossman, who is a managing director with Alvarez & Marsal, is also a renowned expert on digital disruption and helps his clients embrace change by building and executing new business models. Rossman will be a featured speaker at Game Plan 2014, the country’s only B2B-focused e-commerce forum, set for Nov. 4-5 in Chicago. In advance of that event, he sat down with us recently to share his thoughts on how the current climate of digital disruption is a make-or-break moment for B2B leaders. FOC: What is your role at Alvarez & Marsal? JR: I help clients across many industries that are at the intersection of developing new business models and improving the customer experience through the use of data and technology. I operate right at the point of digital disruption within our clients. FOC: How do you see B2B companies handling the digital disruption phenomenon? Most companies still like to keep things more or less the same, while making incremental technical improvements rather than really changing the customer experience or radically changing their business model and evolving the business model. Only a few are operating at a perspective of, “if we don’t create the disruption and be willing to break the rules, change the model, then somebody else will.” Most prefer the status quo and that’s why you see new operators coming in and having the kind of impact that they’re having. FOC: Do you see companies struggling in any particular area when it comes to digital disruption? JR: Yes, it’s primarily around leadership. It’s understanding that we have to change, versus having that organizational reluctance to really change. I think that’s the hardest part of this – it’s committing to change. Boards and senior leadership have to figure out the strategy and roadmap and commit to change, resource and govern teams and initiatives in appropriate and different ways, and increase their “change IQ” — the ability to drive change in their business. FOC: The term “digital disruption” sounds kind of extreme, doesn’t it? JR: The term digital disruption is right on point. Disruption implies hard change that gets messy; that everything about our comfort and the way we operate today is going to change. That’s why I like to use the term “digital disruption” because it’s like a war zone rather than a nice orderly transition. FOC: Game Plan helps B2B companies develop strategies for their digital transformation. What kind of advice can you give these companies? JR: The technology and the data is the real lever that’s created the opportunity for dramatic change at this point, but it’s important to recognize that digital transformation is about much more than just technology. It’s a change in how we see ourselves in a value chain; how we serve our customers; what the business model is around that value chain and industry. And then there are the tactics of whether it’s your supply chain, or your technology or the assets that you’re bringing to your customers. FOC: What do you plan to focus your presentation on at Game Plan? JR: That now is the right time to be re-thinking the evolution of your business models. Entire industries are being changed by new players and companies are being motivated and forced to build their own plans around it. 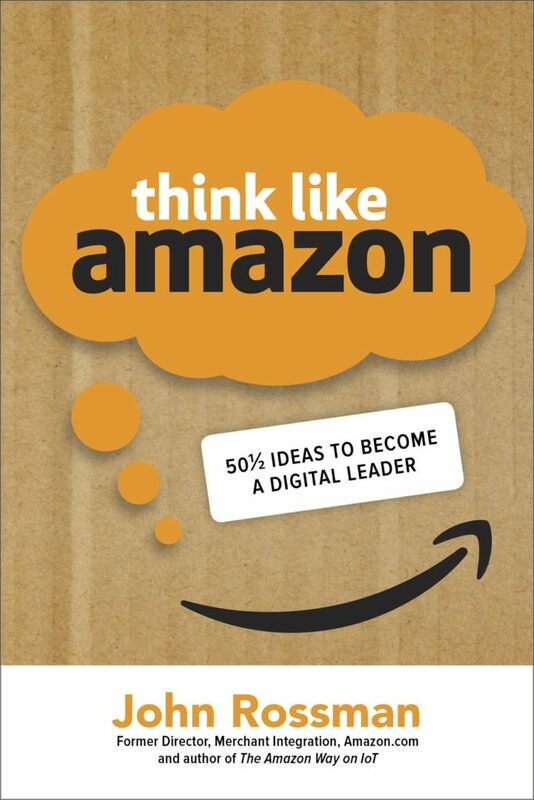 My presentation will help companies understand how to put new business models into action using some of the tactics that I got to see and help build at amazon.com. FOC: Can you give an example? JR: The first is around customer obsession and how most companies either are not committed or truly do not understand their customer and don’t see it as their obligation or opportunity to innovate on behalf of their customer. I think that’s the biggest opportunity, and where to start when you think about how do I build your strategy. It’s critical to understand not only how your customer works with you, but think about the entire value chain of what they’re trying to get done and then map that into your organization and where you could help improve that customer experience. Customer obsession is what distinguishes Amazon from any other company I’ve been a part of, which is all about being willing to make big investments, hard decisions, and think long term because of the desire and the obligation to innovate on behalf of the customer.